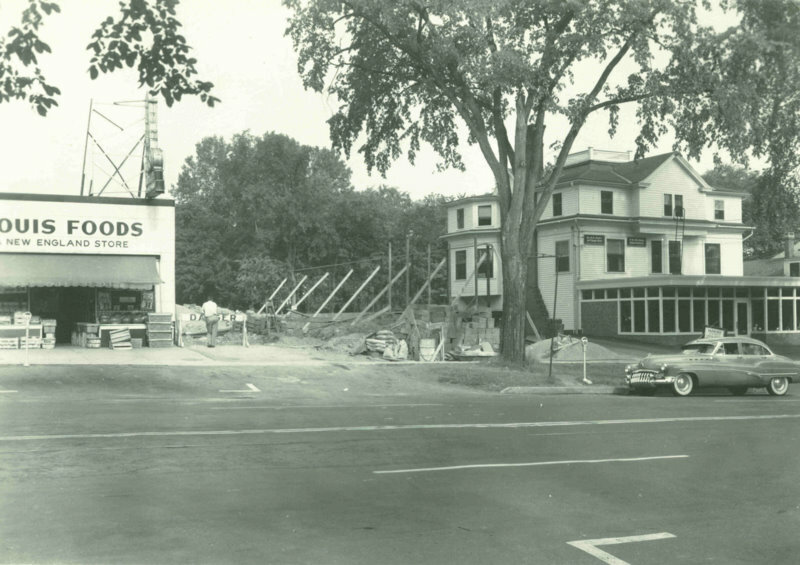 Louis Foods grocery store and the Roberts Block after the moving and remodelling of Elm Tree Inn. Louis Foods stood about where the CVS store was constructed in 1997. The Elm Tree Inn building is still visible as part of the reconstructed Roberts Block. Barnes, Lincoln W., 1879-1966 , “Louis Foods and Roberts Block area in Amherst,” Digital Amherst, accessed April 22, 2019, http://digitalamherst.org/items/show/788.